I’ve decided to jump on the self-publishing bandwagon. 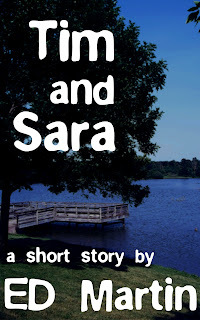 “Tim and Sara” is a psychological/horror story following Tim as he accompanies his friend and fellow state hospital resident Sara as she escapes on a journey to save her soul. If it does well, I might just put all my longer stories (5k+ words) on Amazon too.